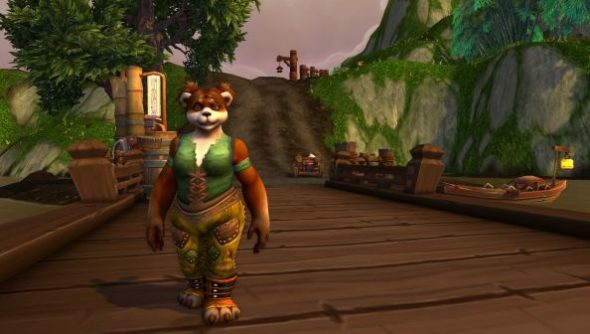 World of Warcraft players can get their install of the game all prepped and ready for the launch of the next World of Warcraft expansion by downloading the sizeable Mists of Pandaria pre-launch patch. The download weighs in at over six gigabytes: to put that in perspective, that’stwo gigabytes larger than the original games version 1.0 release and let’s not forget,World of Warcraft was a vast game on release. Two giant continents large enough for thousands of players to explore simultaneously. It came on four disks and took up four gigabytes of our hard drives (quite the mean feat back in 2004). So the news that, according to MMO-Champions, the migration files released to prepare the world forthe September 25th release dateof the upcoming expansion pack six gigabyteshints at just how much content is being added to World of Warcraft.